For heavy log splitting applications, especially if you’ve invested in a tractor, you should go with a 3-point log splitter. We can help you choose the best of the best. Our pages below highlight the best-selling, top-rated and expert-recommended 3-point log splitters. 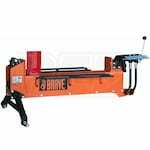 If you're still not sure what you want in a 3-point log splitter, you can visit our 3-Point Log Splitter Buying Guide for more detailed information. 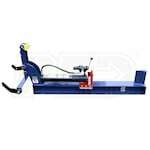 Best 3-Point Log Splitters - View Our Top-Rated & Best-Selling 3-Point Log Splitters. 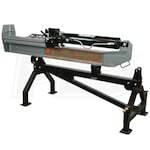 Our log splitter how-to library can help you pick the perfect electric log splitter, gas log splitter, 3-point hitch log splitter, skid steer log splitter or log splitter accessory.